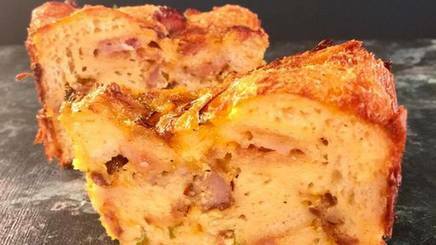 OK, I love bread pudding desserts and I LOVE Bacon...so why not bread pudding for breakfast? Be prepared, your new favorite morning dish has arrived! P.S.- add more Bacon!